Get your heart pumping with a BMW driving experience. Take control of the BMW M3 and find out what 'MPower' is all about or experience the future with the BMW i8. Perfect for adults and juniors with circuits and experience venues located in England, Scotland and Wales. View our range of BMW driving experiences below. 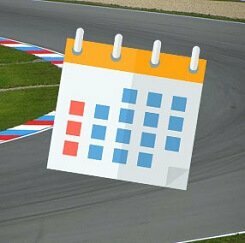 Find available dates for bmw driving experiences with our live calendar. When it comes to high-performance cars you can’t go wrong with a BMW. They have the performance to match even the fastest of supercars and have the comfort of a luxury cruiser when you just want to slow down and relax a little. We have a wide selection of track day experiences that let you get behind the wheel of some of the most popular BMWs. Aggressive and powerful, the BMW M3 drives like it’s fuelled by testosterone with unbelievable acceleration and handling capabilities. We have a selection of M3s available at a variety of locations across the country, including the E46, E90 and even a track specced E36 EVO. This performance car dream is fitted with a full roll cage and is powered by a 3.2 litre straight six capable of 0 to 60mph in just 5.0 seconds thanks to its 320bhp. The E90 M3 we have on offer is certainly a surprising beast for a saloon car. Unusually for an M3, the E90 is powered by a 4.0-litre V8 engine producing 420bhp and is capable of 0 to 60mph in just 4.7 seconds. You can experience this incredible machine at Bovingdon Airfield. Or if tyre smoke is more your thing rather than lap times why not try our Silver Stunt Experience. This fantastic experience will put you behind the wheel of a specially prepared BMW Z3 as your instructor takes you through a series of highly technical stunts. You will learn to do the perfect handbrake turn, handbrake parallel parking and even doughnuts. 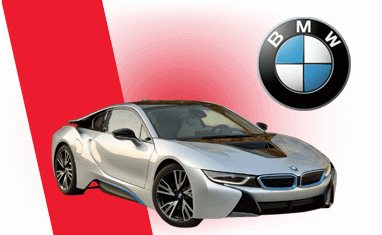 If you’re looking for the latest in sports car technology take a look at the BMW i8. This hybrid engine sports car offers futuristic looks and performance to match. Powered by a tiny 1.5 litre 3-cylinder turbocharged engine along with a pair of electric motors, this hybrid engine combination gives the i8 an impressive 356bhp and a 0-60mph time of just 4.4 seconds. Above you will find all of our amazing packages which make great gifts for any BMW fan. You can order a 10-month gift voucher or book directly onto a date.